One of the things I hate most about a double move is living out of boxes for a short period of time. 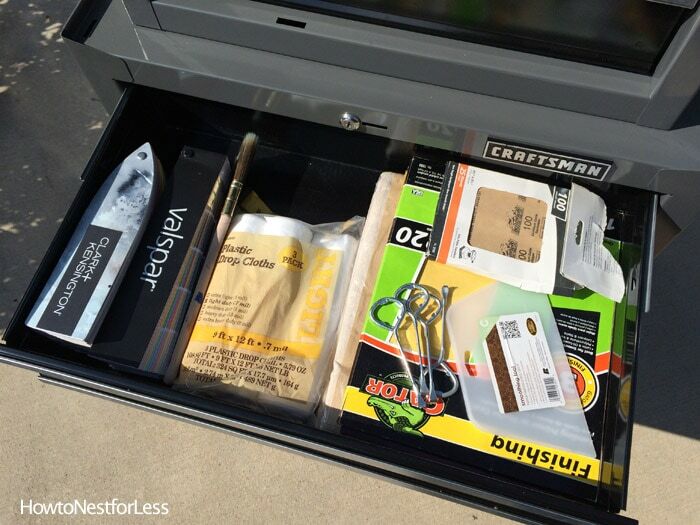 While most of our big things are stored away, some things I needed to keep within an arm’s reach… like my tools. Since I’ll be doing a bunch of small jobs for family members during these next 3 months and most of them aren’t handy (or even own normal DIY tools like a laser level or jigsaw), I decided I needed to bring all of my tools with me to my brother’s house. Since I didn’t really want to dig around 4 big boxes and 2 tool boxes for the next couple of months, I decided to get organized instead. 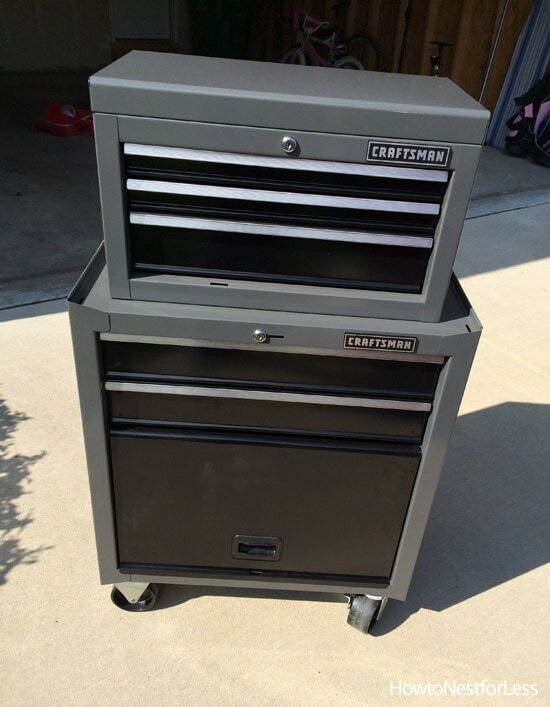 the Craftsman 6 Drawer Steel Tool Center from Ace Hardware. Now I have to admit that Ben was a little bit skeptical when I brought this home last week. He basically shook his head and didn’t think it would be nearly big enough to hold all of our tools. But I’m happy to report this bad boy does hold A LOT of stuff. C’mon… let’s check it out. The bottom deep cabinet holds most of the big items like my nail gun, jigsaw, circular saw, drills, chargers, and a toolbox kit. The second drawer holds my hand saws, Kreg jog, clamps, crowbar, etc. And since I’m usually making a mess when I use this tools, I put my safety glasses in here too as a reminder to actually use them. Oh, and cleaning out my boxes of tools helped me realize that I own 4 different hand saws. Not even joking. The other big drawer holds some of my painting supplies like drop cloths, paint brushes, sandpaper, paint keys, paint fan decks, etc. And the bottom drawers are wide and really deep. Love how much I can stuff in there. Now moving up to the smaller drawers. Again, when you finally clean out your toolbox, you find that you hoard certain items. Apparently for me it was hand saws and measuring tapes. Below you can see 5 of them, but I found 3 more that aren’t even pictured here. Next is what I like to call my “hanging” drawer. Basically everything I need to hang wall art, mirrors, and picture frames around my house: stud finder, laser level, lots of screws, drywall anchors and nails, plus a hammer and mallet. OK, maybe the mallet doesn’t quite fit with this whole “hanging drawer” idea, but oh well. 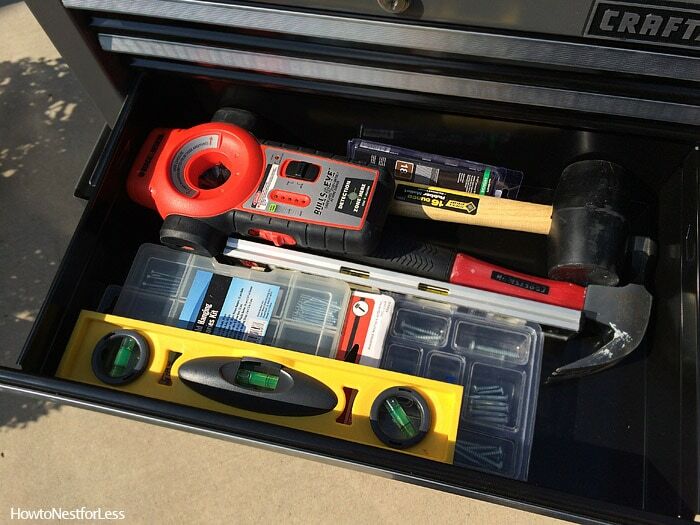 And finally we have another drawer with more random tools, you know… the ones that usually get lost around the house. Pliers, screwdrivers, tin snips, wrenches, utility knives, etc. And what I like about this Craftsman tool organizer is that it comes with a key so you can lock up the tools. Total peace of mind. And I have to say after all of this tool organization I made Ben a total believer in this Craftsman 6 Drawer Steel Tool Center from Ace Hardware. We’re even talking about investing in another one to hold all of our painting supplies. 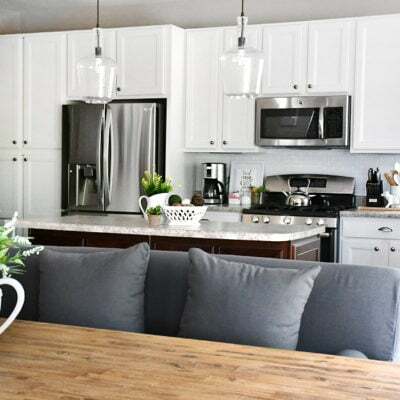 We are reverting back to a two car garage in the next house and I need to organize and maximize space! Oh, and if you made it to the end of this post I have a sweet little giveaway for you guys! 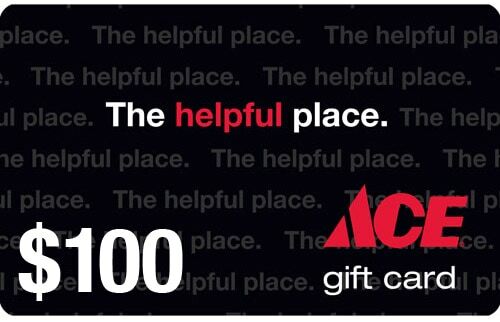 $100 gift card to Ace Hardware. 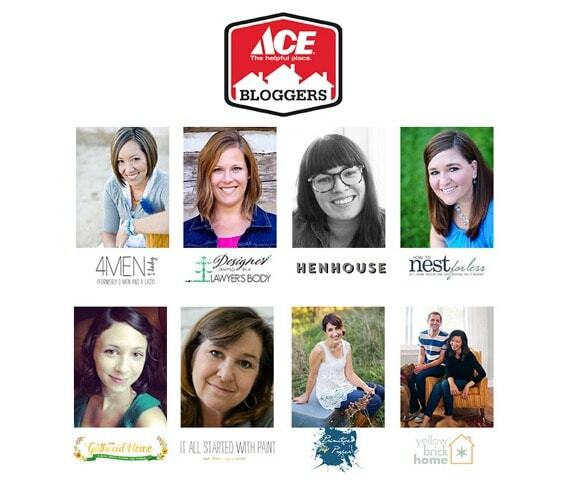 to organize your home with the help of Ace Hardware! Winner will be chosen one week from today! And make sure you check out all of the Primo Brands available at your neighborhood Ace Hardware, including Craftsman, Scotts, Toro and Weber. 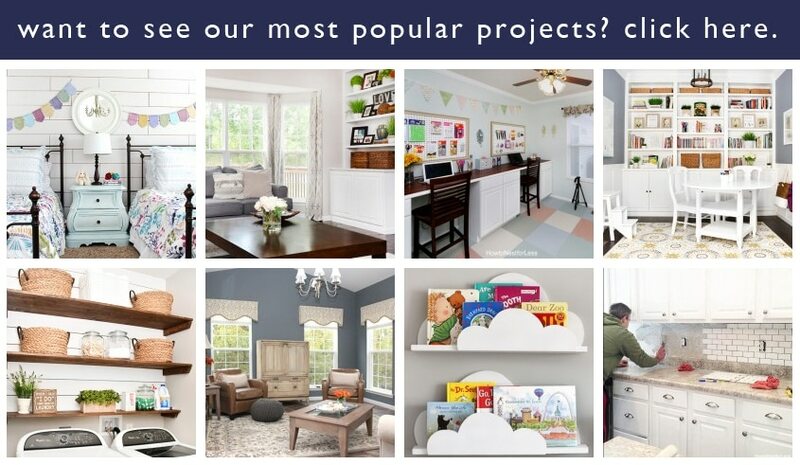 Hope you guys are enjoying Spring and tackling those home maintenance projects! Sign me up for one of those tool organizers! If I won the $100 gift card to Ace, I would buy one of those 3 tier wire shelves and some bins to put stuff in. I’d definitely be looking to get some heavy duty shelving for storage. 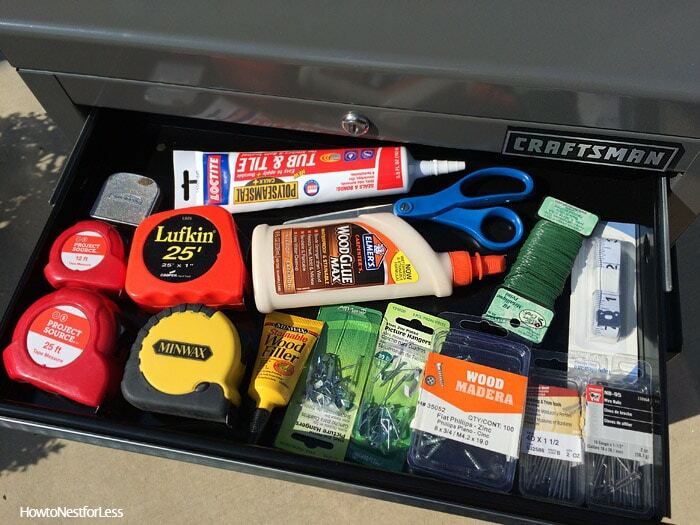 We have a great, old, hand me down Craftman tool box, but we are perpetually out of shelving space. Thanks! 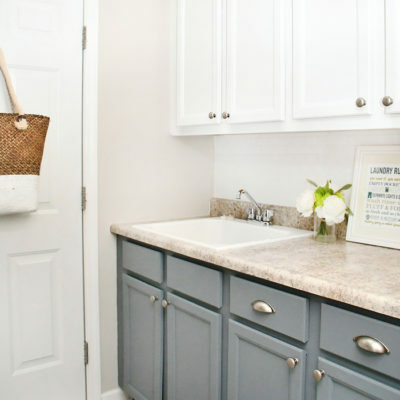 How I’d love to have this organizer, so I could free up all those baskets and bins! 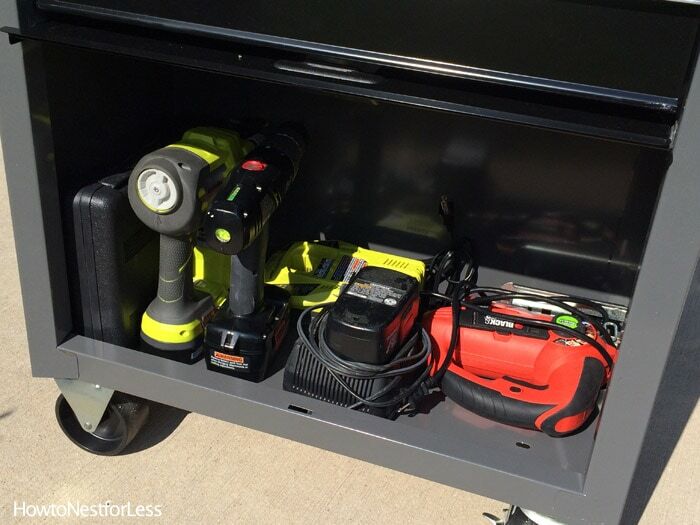 Having all my tools organized in one receptacle would be over-the-top cool! I would love to organize the tools that we have around our house!! I’ll take a tool cabinet, please! I love organization too. LOVE tool organization because we don’t have any! Lol! Extra love that it locks to keep toddlers/kids safe! Cabinets to organize the garage. I’ve been looking for some sort of organizer for kids craft supplies. Maybe shelfing and some baskets??? I just purchased my first wheelbarrow with a forever “pumped” tire from Ace Hardware! I am very interested in garage shelving and systems to tidy things up. I already have pegboard on one wall, but I still need more organization. I really need some of those metal shelving units for organizing everything on the floor in our garage. I would love one of the tool chests you have, I need to organize my tools!!! Badly…. I would love shelving for our garage! I’d love to buy some wall racks to organize my garage. I think I would get one of those tool organizers! 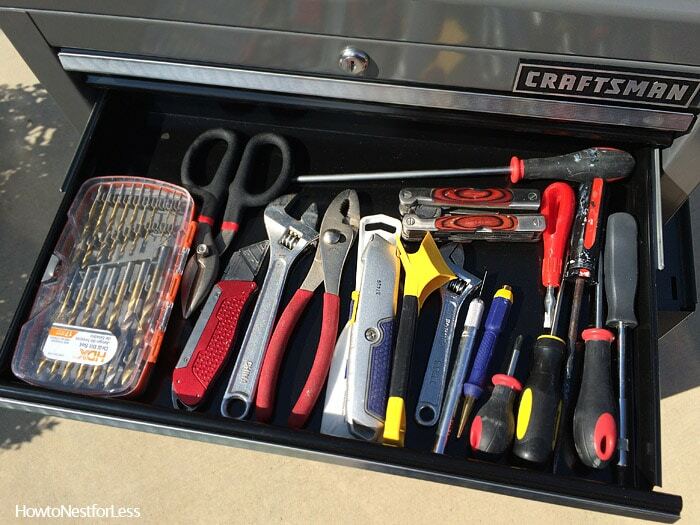 I need another tool box just like that! I bought 1 a few years ago, but it’s overstuffed and in my garage. Yes my garage is my “studio”! Thanks for sharing and good luck to ME!! hehe! 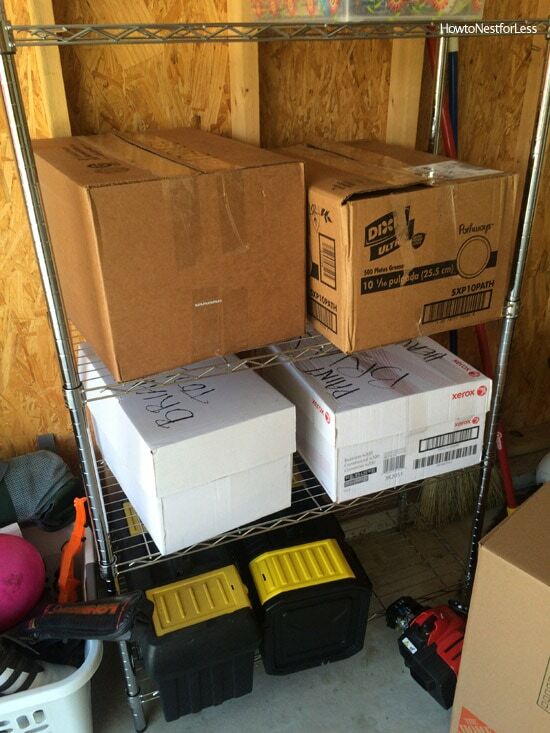 We definitely need to organize the garage so I’m thinking tool storage and metal shelving! i’ve had my eye on drawer organizers at my local Ace for a while now. I’d love to give them a try! Nice! I don’t know what I’d get. I could use several things at Home Depot. Dave could use one of these tool storage pieces. All of his stuff is spread out over the basement. I could also buy paint there. Abby wants to paint her room. I would get some hefty shelving to hold all my refinishing stuff. Of course I would have to paint the shelving TOO !! 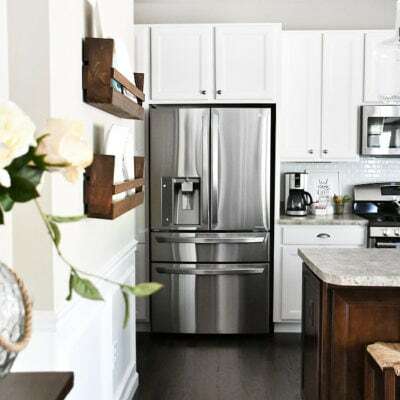 The first thing I’d get is a measuring tape…we couldn’t locate the one we have… To better organize our “stuff” I’d really consider the Craftsmen tool storage center you got. Then I’d have to make sure I put everything back in the storage center. Great motivation and there is an Ace Hardware not too far from here. I would buy some shelves and a bigger toolbox. We will be moving soon and will need all the help we can get to get organized. 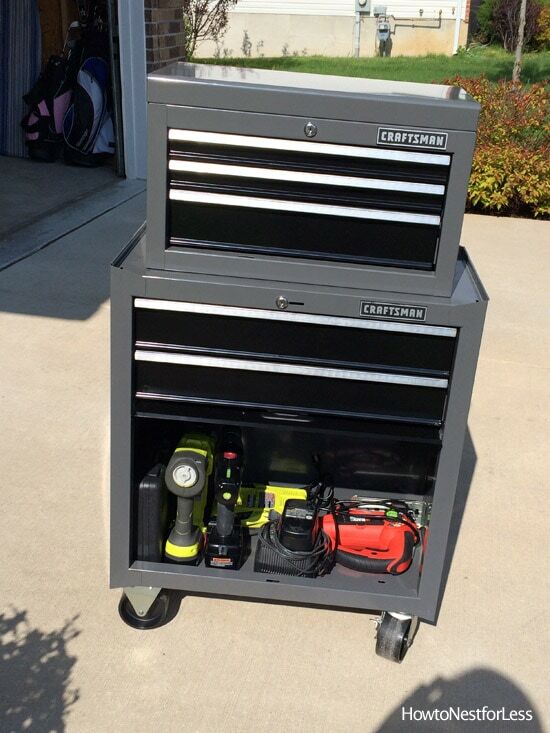 Love that toolbox! My husband has been eyeing very expensive ones. I might have to point him in that direction. 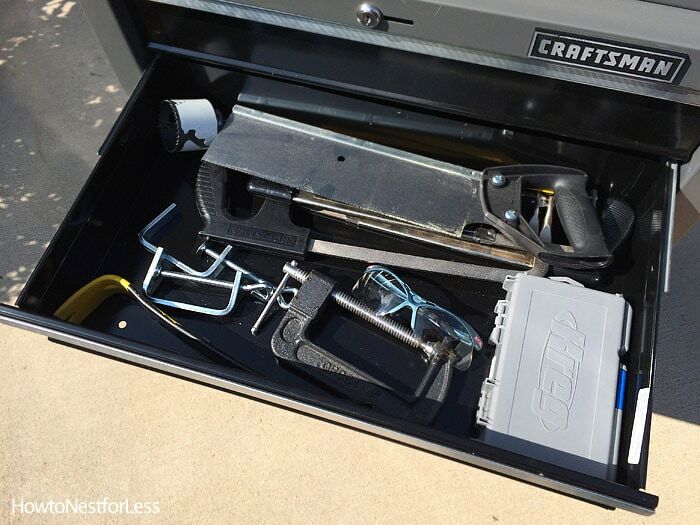 I would definitely buy a new tool box that is easier to access than the one I have! I would love to buy a storage wicker deck box to store all of our stuff in and save space. I need to buy a new storage shelves for my garage because mine are so old, and get a tool organizer that I have seen at Ace to help me get my garage organized. It is a mess. I really need to get a tool box to keep in the house since I keep bringing tools inside and forget to put them back. I’d but some bins to help organize my garage. I’d love one of those cabinets! Our tool bench that came with our house is sooo unorganized! I’d know where things are in this! I would love to buy a nice tool box for all my tools are unorganized I have my and my husband s who passed away and my mom and step dad who has passed away. The other day I was searching for a tool and a metal buffet and router fell hitting me in the back of head needed 3 staples after that. Thank. You for your ideas. Thanks for the organization tips for tools. My husband and sons have tools sitting out all over the house so they can “find them easily”. I am thinking the six-drawer tool chest (or multiples) is a way better idea.